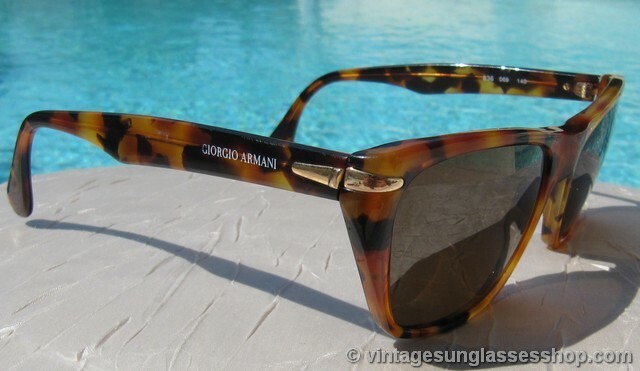 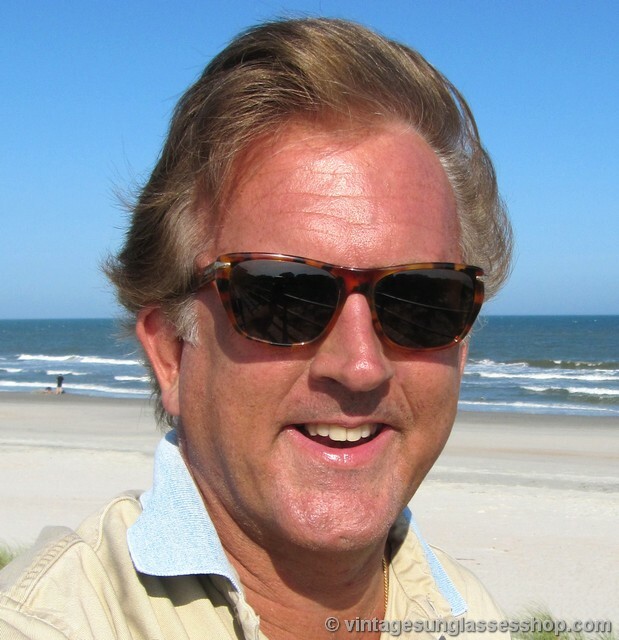 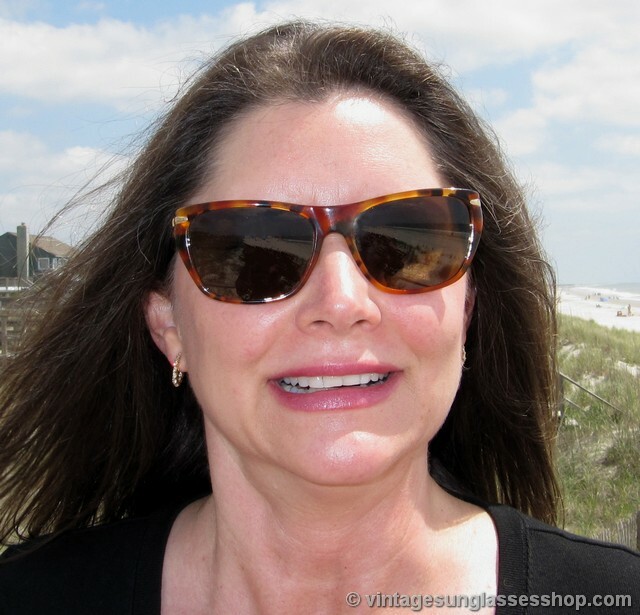 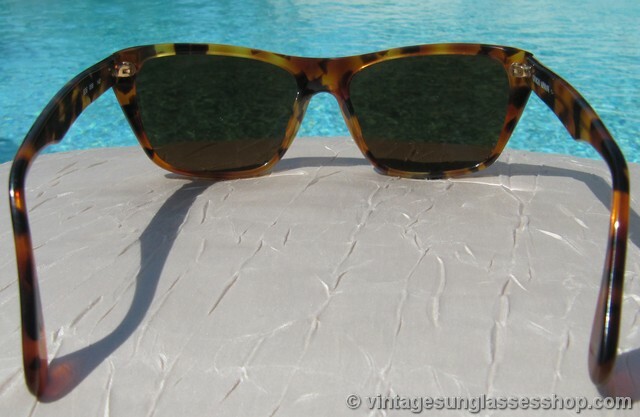 Superb Giorgio Armani Italian style is evident in these classic Armani 836 069 tortoise shell sunglasses, reminiscent of vintage Ray-Ban Wayfarers but with that unique Armani touch. 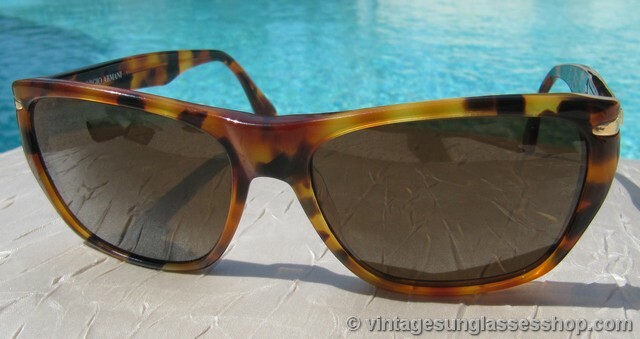 The tortoise is rich and deep, with plenty of black to contrast with the orange of this tortoise shell color blend. 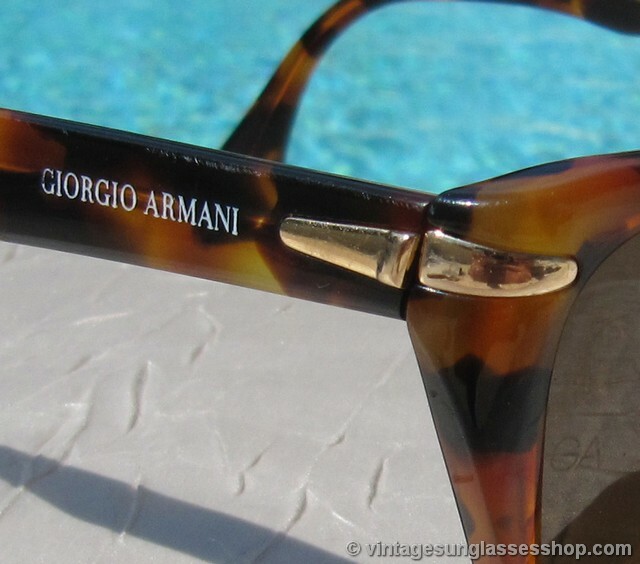 The Italian frame measures approximately 5.25" temple to temple to make it a nice unisex size frame, and it features exposed gold hinges at the corners which is a technique Armani used often in this style of sunglasses. 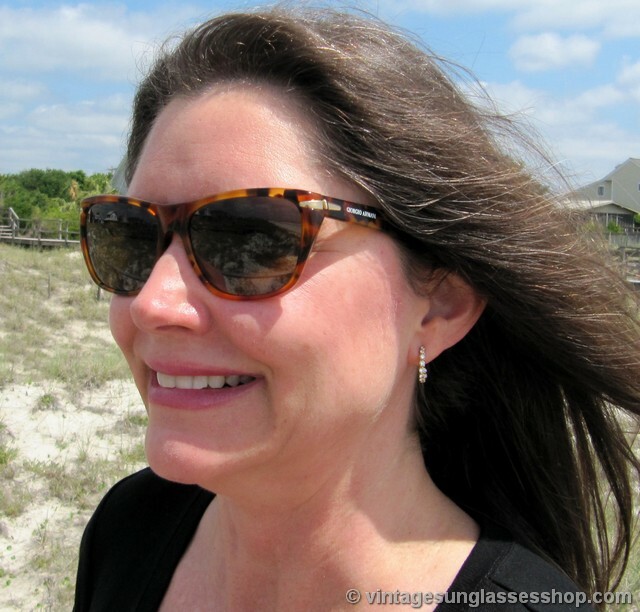 The brown Armani lenses are both laser etched GA near the hinges, and they measure approximately 2.0" x 1.5" at the widest points. 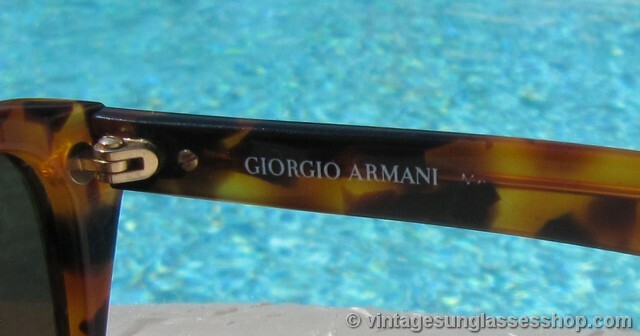 A subtle Giorgio Armani logo is on each ear stem near the hinges, and the inside of one stem is marked Giorgio Armani Made in Italy while the inside of the other stem is marked 836 069 140. 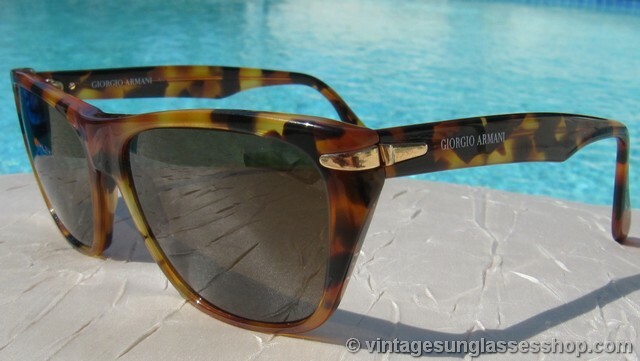 Armani 836 sunglasses offer an elegant look suitable for all occasions, part of a Malibu, California collection of vintage eyewear.